Muawiyah Alrawahi. Photo by Jillian C. York, used with permission. Omani blogger Muawiyah Alrawahi was allegedly detained on February 24 while attempting to enter the United Arab Emirates by car from Oman, according to statements from multiple human rights organizations. Amnesty International confirmed that UAE border security seized Alrahawi's travel documents, but his whereabouts are currently unknown. It has been over thirty days since his family and friends have heard from him. Muawiyah Alrawahi has not been heard from in a month, and this is alarming given the record of official persecution of the critical blogger. We call on authorities in the United Arab Emirates to explain why Alrawahi has been taken into custody or release him immediately. Muawiya al-Ruwahi was arrested in Oman several times in recent years. He was summoned in February 2012 to the Omani State Security headquarters after he criticized Sultan Qaboos in his blog; he was held in a mental health hospital for one week and released without charge. 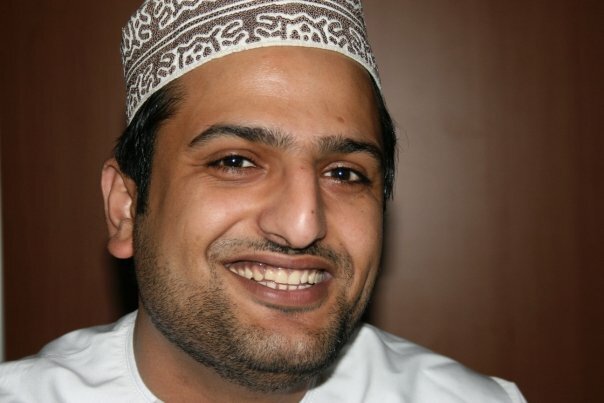 He was arrested on 12 July 2014 after he criticized the Omani authorities in his blog, two days after an Omani teacher had been sentenced to a large fine for “public order offences”, for going on strike in October 2013. He was detained mainly in mental health facilities, first in the al-Massarah mental health hospital and a week later in the psychiatric ward of Sultan Qaboos University Hospital where he was kept shackled. He was released without charge on 11 August. [he] talked openly about a number of things, including suffering sexual abuse as a young teenager, his earlier involvement with Oman's Internal Security Service (ISS), his admiration for and connections to ex-ISS Brigadier-General Khamis Al Ghraibi (now imprisoned under charges of spying for the UAE), his lack of religious belief, his disillusionment with Oman, and his loss of faith in the ruler Sultan Qaboos.